← “WATERPROOF” IN WINTER 2010 ISSUE OF THE BATTERED SUITCASE! The Holidays are over, and for many of us that means heading back to work–even if it’s maybe not a job, but a routine. It’s taken me a little while to get things going again, but after having taken a break for awhile it’s also meant the ability to see things with fresh eyes. 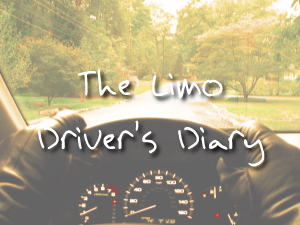 This month at Read Short Fiction, we’ve got a great short story called The Limo Driver’s Diary by A.J. Profeta that reminds us a day at work might not always be routine. And it’s also a reminder that we often don’t think about the secret inner lives of Limo Drivers or cabbies, and yet they are the ones on the road every day, all day long, which leaves them with a great deal of time, I’m sure, to reflect on their lives, the lives of others, and the state of the world around them. That’s what appealed to me most about this story. This Limo Driver is very human, and a day on the job for him, on many occasions, means facing his own mortality, fragility, and age. I found this a very poignant reminder that this highway we’re on called life doesn’t always take us where we want to go, but where we’re supposed to go. I got chills reading this piece. Enjoy, and hope your 2011 brings you safe travels! Posted on January 7, 2011, in Read Short Fiction and tagged AJ Profeta, Limousine Service, Read Short Fiction, Short Stories, Taxi Cabs, The Limo Driver's Diary. Bookmark the permalink. Leave a comment.